How should we paint the face of Jesus? Though out my life, I’ve heard many opinions about what Jesus looks like. As a child within my home church, there were no pictures of Jesus, but after I began visiting other churches I saw many depictions. Many famous artists over the years, have created different images of Jesus. Artists like El Greco, Rembrandt, Da Vinci, Sallman and many not mentioned, have put their all into the creation of these paintings depicting Jesus. Looking up all these images, there are some similarities like the long brown hair and beard, as well as, the olive to fair skin. But our goal as artists and the goals of these artists should be to touch on something deeper than the physical look of Jesus. In each painting of Jesus, each creator of the piece captures a different side and emotion of our Savior during his short human life. Jesus is a man of many burdens and because of this, has so many deep emotions for this world and for each of us, just as God does. In each of these images we see the artists try their best to capture the side of Jesus they strive to depict. (Because in all honesty, who of us can fully capture the majesty and nature of Jesus or God within one image? Not even words can fully express the greatness of our God.) They wish to narrow the gap of understand between humans and God, through the depiction of Jesus Christ. However, I’ve heard a lot of controversy about how Jesus actually looks and how many people tend to fix their attention on the physical rather than the emotion. In the end, these paintings of these artists of the past and our artistry should be worship to God. When I think of it this way, that so many years into the future, I can look at a painting by Rembrandt (for example) and though he’s long gone, still see his form of worship towards God, makes these paintings all the more powerful and touching. 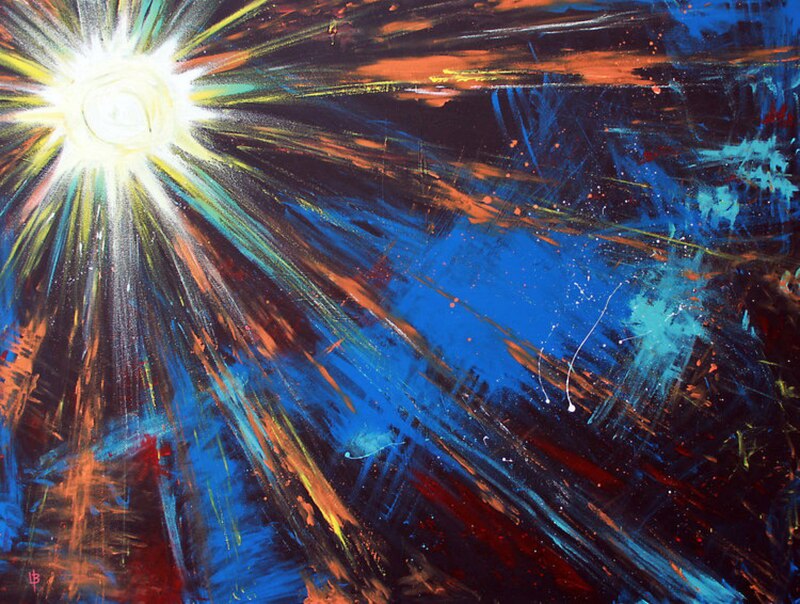 Painter, Lance Brown, is a Christian speed painter. He uses his talents to worship God and touch the hearts of many by completing Christian art on a large canvas in less than 6 minutes. When he begins painting, he starts with a touching image, like a small seed being planted with words of encouragement painted around them. And through that image spouts another image and eventually both of these images combined turn into an image of Jesus. And each Jesus he paints is different from the another. He shows Jesus full of hope, that almost seems to be looking right at you; seeing your everything, but still accepting. 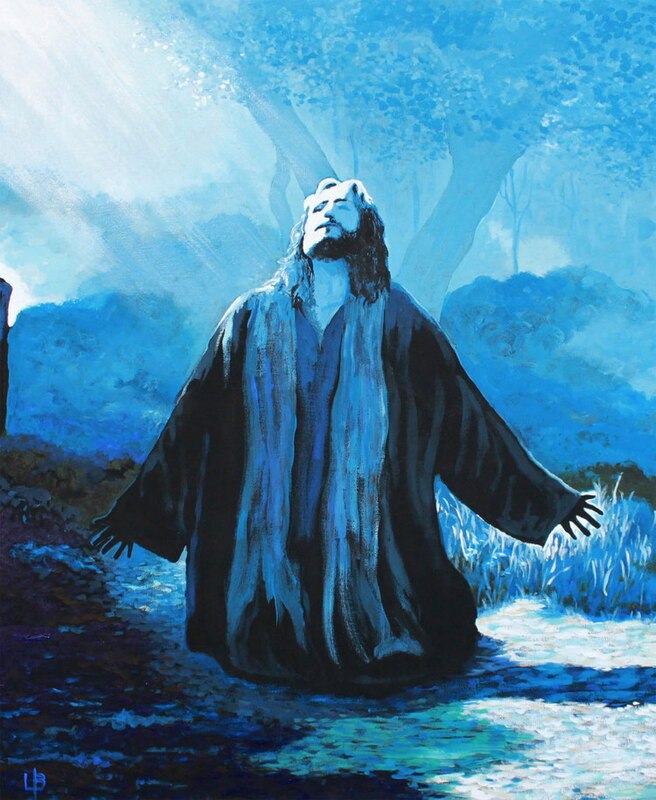 This Jesus painting is called, Follow Me. Another shows Jesus in many colors; the painting itself seems to bleed as we see Jesus with his head casted down. This painting is called All for You. Through this man’s worship and his depiction of Jesus, these two women were brought closer to God. Instead of getting caught up on shallow thoughts or even a painting looking beautiful, if it is our worship, if it is in God and brings people closer to God; these things should always be our focus. Painting the face of Jesus is painting the face of love, forgiveness, sacrifice, and many things that Jesus was and is to us. When we create we should remember this well.